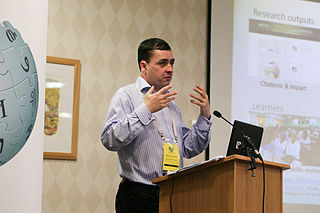 Welcome to the official blog of the Jisc/Wikimedia UK ambassador. This blog will host case studies and briefings about innovative use of Wikipedia and its sister sites in research and education, based on interviews with academics. It will be regularly updated for the rest of the project. In my role as the Jisc Wikimedia Ambassador I’ve been fortunate to have delivered events in a variety of institutions. So far these have included Oxford University, the Royal Veterinary College, Newcastle University, and the Humanities Research Institute at the University of Sheffield with more to come in 2014. On the way, I am collecting case studies and requests for help from interested individuals, and documenting all activity (including all evaluation feedback) on Wikimedia UK’s wiki. The academic and Wikimedia communities have a lot to learn from each other. I’ve found that academics and librarians are often surprised at the extent to which, behind the scenes, Wikipedia has a drive for quality, reflected in several different formal and informal review processes and the enthusiasm for “tagging” and discussing problematic articles. Wikimedians, in turn, are surprised at the vast amount of scholarly and educational content put freely online with Jisc’s support, and the wide variety of support and advice it gives to the sector. When researchers, educators, curators, and support staff see Wikipedia and related sites as an outlet for their work, there are great opportunities to get people using digital resources, to expand the impact of research, and for innovative educational activities such as using Wikipedia article histories to teach close reading. The collaboration between Wikimedia UK and Jisc is a great opportunity to document those opportunities for the HE sector and the wider public. Posted by Peter Findlay on January 20, 2014 in Introduction.